A giant isopod is any of the almost 20 species of large isopods in the genus Bathynomus. They are abundant in cold, deep waters of the Atlantic, Pacific and Indian Oceans. 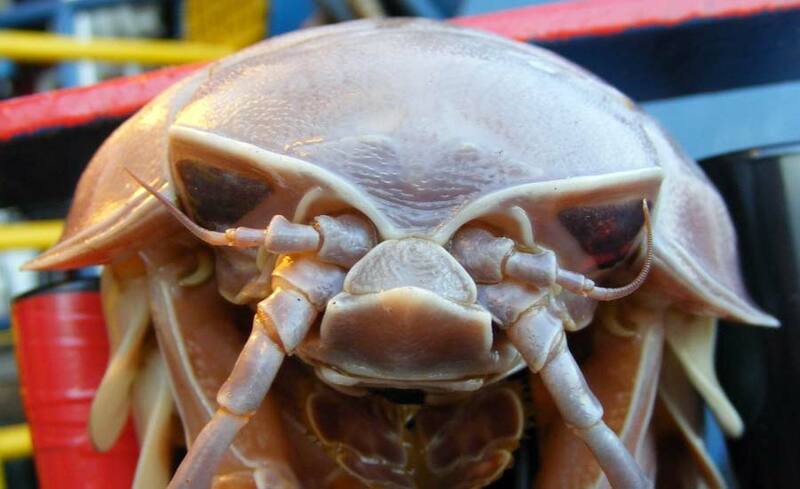 Bathynomus giganteus, the species upon which the generitype is based, is often considered the largest isopod in the world, though other comparably poorly known species of Bathynomus may reach a similar size. The giant isopods are noted for their resemblance to the much smaller common woodlouse, to which they are related. Pseudoliparis swirei is the deepest-dwelling fish in the world. This small deep sea creature can withstand more water pressure than 1,600 elephants standing on its head. Researchers exploring the Mariana Trench, the deepest place on Earth, found large numbers of weird, tadpole-like fish swarming their mackerel-baited traps.